Lay open an exciting toolbox before the gaming community and all manner of weird and wonderful things will ensue, this much is certain. 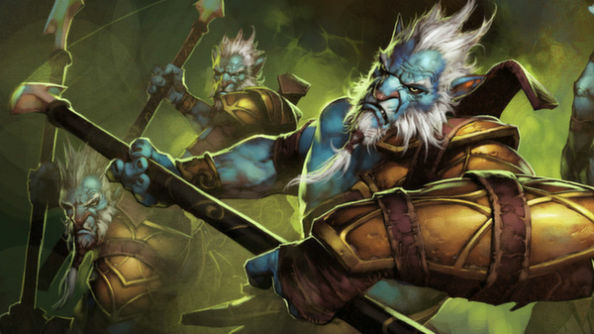 Nowhere is this more clear than the Dota 2 Workshop, which now sports over 1300 pages worth of custom-made modifications. You might be thinking ‘that’s a hell of a lot of hats’ but the workshop actually offers far more than the occasional sartorial accessory; here you’ll find everything from complete reskins to custom game announcers. Starting out in Dota 2? 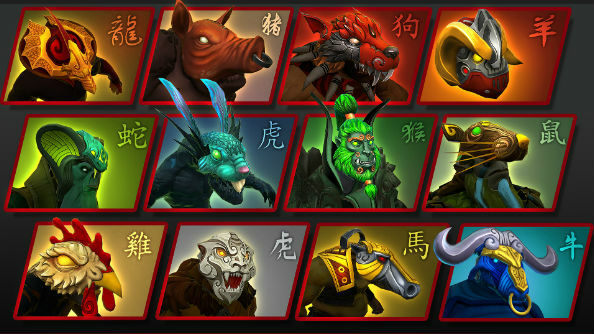 Check out the bestDota 2 heroes for beginners. 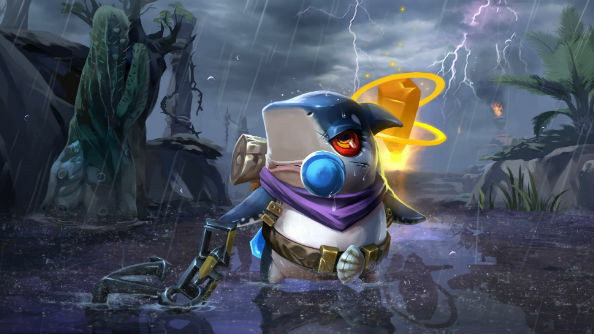 Some of these daring creations are unarguably brilliant and showcase the legion of artistic talent present in Dota 2’s vast player base. We at PCGamesN have delved this fan-made treasure trove in search of its most delightful treats and arrived at the following list. 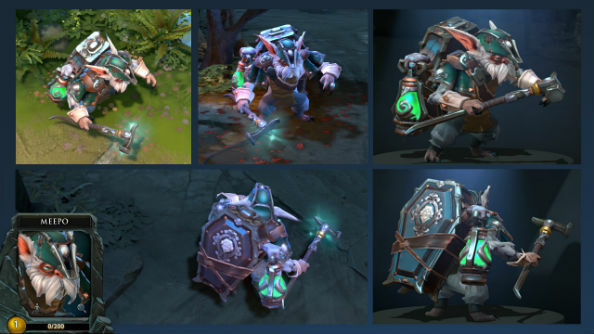 Some reskins are transformative, others tweak a hero’s visuals to reach its true potential.This plush setof sixteen items for Tinker finally makes him look the part of a mechanised wonder. Sorry Valve, this is definitely a huge improvement. Gone are the childish block colours and flat textures, in their place a delightful mixture of metal and wood that takes Tinker out of the child’s play box and puts him squarely on the battlefield. If you like the look of this, user katzeimsack has also produced a host of other full-scale redesigns for the likes of Zeus and Bloodseeker. Of course, this doesn’t mean that your hero needs to undergo complete reconstructive surgery in order to make a statement. Sometimes a single item can be just as effective and often, far more frivolous – and frivolity is the spirit in which the Workshop initially began. This collection of12 masksrepresents each of the animals in the Chinese calendar. The clear favourite, as modelled by Pudge, is the pig mask, which is at once creepy, weird, hilarious, and likely to induce cravings for bacon. Some people like their dose of cute adulterated with a cocktail of weird, and as far as weird wards go,the Donkeystickis a clear winner. It’s general adorableness is perfectly offset by the creepy roaming of its solitary moving eye. Sometimes it’s as if the thing is looking right at you. Watch it wobble, watch its eye roam, and watch it scare away your opponents, requiring no aggression from your hero whatsoever. If Donkeys really aren’t your thing but disturbing eyes are, then it’s also worth considering General Scarecrow or Crawler’s Vision Ward. 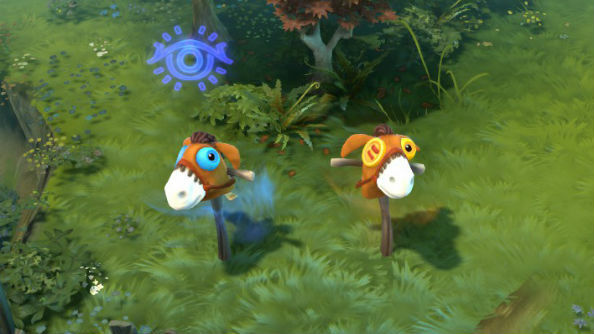 Picking between the selection of inspired couriers in the Workshop is enough to tear one’s heart asunder – too much cuteness, not enough time. However, there really is no substitute for the shark-courierBaby Bruce The Jaw. As expected, Bruce initially walks in teeny tiny shark steps, but when he’s upgraded, he does something even better. You’re expecting the answer to be ‘swim’, right? Wrong. Bruce hops on a damned octopus and wibbles through the air because that’s just how he rolls. Other excellent choices in this category are the Otus, Sniveling Snotlings, and Thu’Chulu couriers. Finding a tailor when you’ve got two heads and one body must be a royal pain, but even ogres need to feel head-to-toe beautiful every now and then. 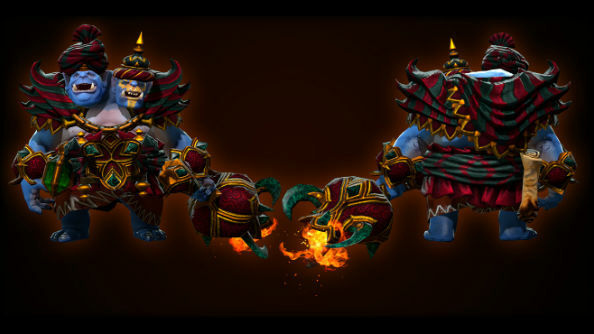 Thankfully, some genius has kitted out Ogre Magi with a sublime Arabian ensemble that keeps the pairlooking fabulous. The flowing fabric, the rich colours, the pointy headpieces – it’s perfection, and is oddly consistent with their identity as mages. Hands up who doesn’t like pirates….[tumbleweed]. Exactly. And, that’s probably because they’re a source of comedy gold. COMEDY PIRATE GOLD. In this instance the laughs arise from a custom announcer pack by the name of ‘The Pirate Cap’n’. Who wants to hear a vanilla ‘your top tower has fallen’ when such exciting alternatives as ‘gormless swabbies, ye lost yer top tower!’ are on offer? Once again, the answer is no-one. 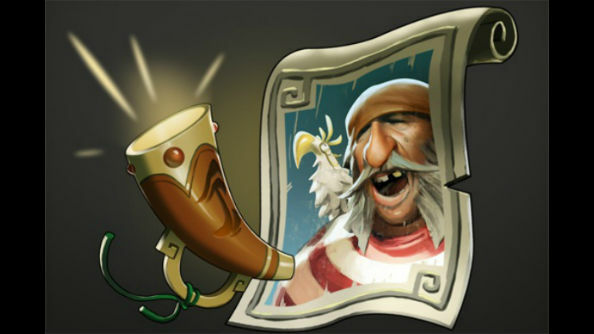 It’s just a shame that most of the other announcer packs on offer in the Workshop aren’t up to standard, and the ones that are, likeThe Pirate Cap’n, are kept afloat by novelty which quickly erodes. You’ll probably be getting this announcer to walk the plank sooner or later, but enjoy the honeymoon period as long as it lasts. It’s clear when a set of items has had serious thought poured into its concept, andThe Family Valuesset for Meepo is one such bizarre beauty. This complete group of items featuring head, tail, shoulders, back and weapon is rocking an 18th century look, as if Meepo has been lifted out of a photo from the Napoleonic wars. It even comes with a lusciously drawn portrait of a Meepo family, complete with tiny baby and silly wigs. For fans of period drama (of which there simply has to be some crossover with Dota 2 obsessives) there is no other choice. Any League of Legends players out there?… Wait, where did you all go? Yes, we uttered the dreaded L-o-L, but with good reason. 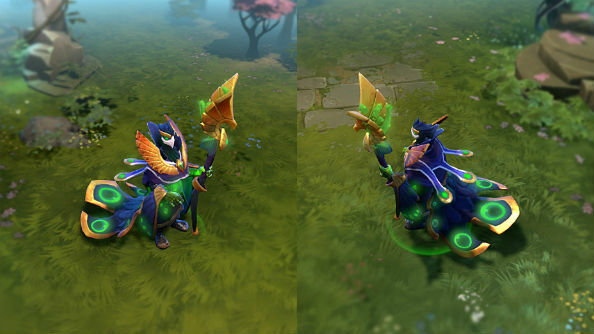 This complete set for Rubick reminds us a lot of League’s sand-mage Azir if he’d been cross-bred with a magical peacock. What’s great aboutThoth’s Immortal Relicsis that it completely transforms Rubick’s aesthetic, rather than just adding a bulkier suit of armor or enlarging his weapon to ridiculous proportions. Just look at him – he’s now a brightly coloured bird covered in Egyptian finery. Approved. The art of the emoticon is hard to master, as made clear by the legion of arguably awful emoji-wannabes that the Workshop has to offer.The Invoker Emoticon Packon the other hand allows for the free expression of the full spectrum of human emotion. Well, if that spectrum was reduced to about six states of being, one of which is just a set of swirling energy balls. But let’s be fair, who hasn’t felt like a triad of mystical spheres at some point in their life? There are a staggering amount of weapons available in the Workshop (over 5000 at last count) which range from the everyday to the downright awesome. But what makes a weapon ‘cool’? 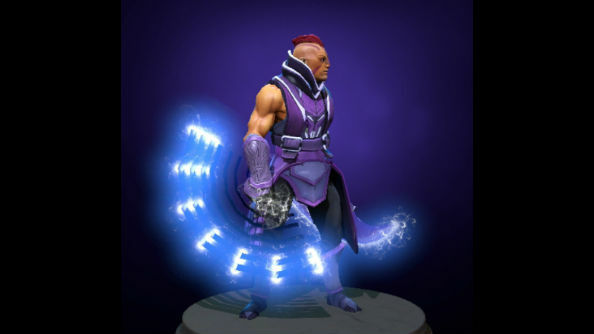 There are no hard and fast rules, but the words ‘glowing’ and ‘electric’ tend to cause excitement.This modfor Anti-Mage’s pair of curved blades adds magic dust by adding the two aforementioned elements, thereby transforming them into a pair of futuristic-looking energy slicers. Those are our picks, let us know if we missed out your favourite Workshop item in the comments below.